The exhibition corresponds to the timeline of Martin Luther King, Jr.'s last monumental social protest. On this site, we look at specific days from the Campaign, hoping to broaden the context of this history. Poverty marchers took the weekend off 5/25 to let their mud-splattered Resurrection City dry out under sunny skies after days of intermittent rain turned the site into a quagmire of mud. 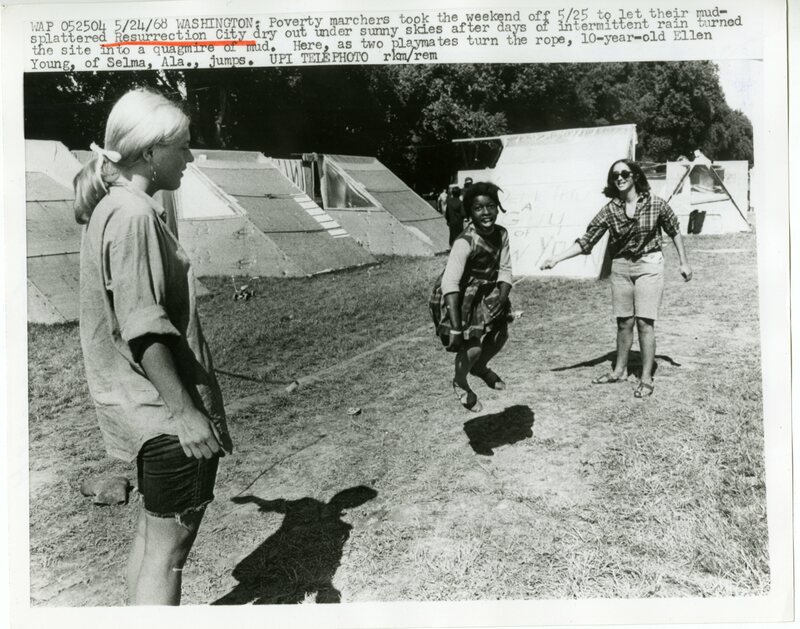 Here, as two playmates turn the rope, 10-year-old Ellen Young, of Selma, Ala., jumps.